Well It Has Started.....And its Dry Dry. We are Defiantly Not kicking off Season the way we All Hope For. Hopefully Much Needed Rains are On the way. Like all Years Before We welcome All the New Hunters Choosing to Make the Change and Head South. Mexico is Constantly Changing So Lets Help Keep everyone Safe and Informed As Needed. 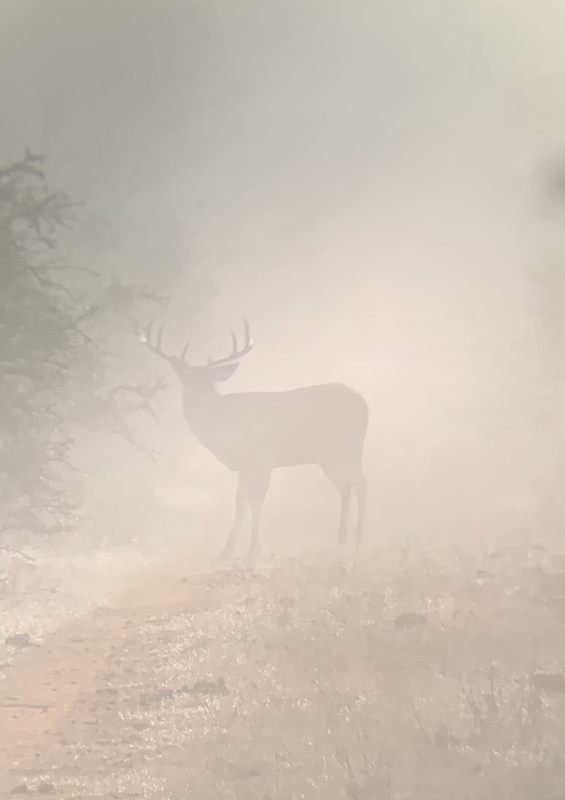 Post up any Questions as Normal And Share the Typical Info For Your Areas As in Rain Fall, Available Leases, Feed Options, or any Warnings Worth Passing On to your Fellow Hunters. Can’t get here fast enough. Had a feeling we were going to have a dry post season! Wish i could send this rain at home further south! Thanks for starting the new thread. Hoping for rain. 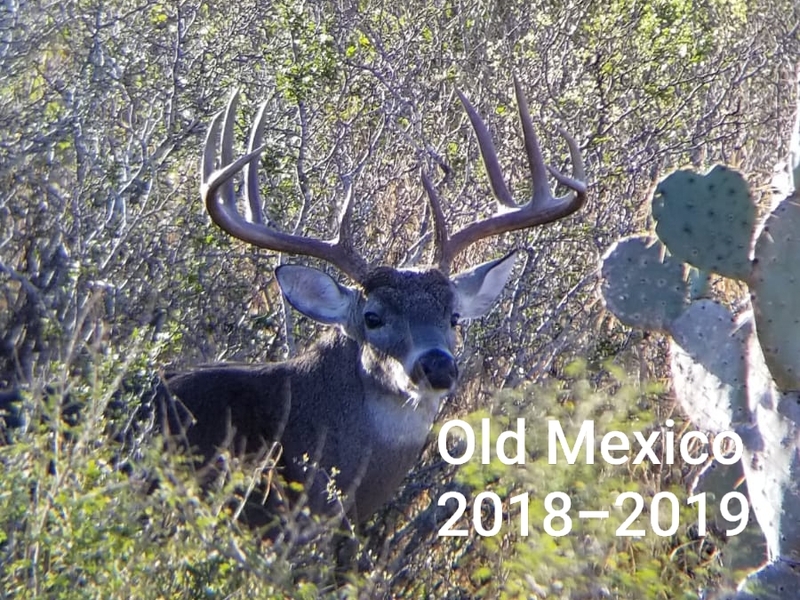 Looking forward to a good season south of the border!! Looking forward to another great year South of The Border. Love this thread!!! Time to dust off them protein feeders and shoo away the bees!!!! We put out 8 tons two weeks ago. They( the national weather Service), have forecast a El Nino pattern for the next 4 months, I Have to be optimistic, or im gonna get screwed, way to dry of a winter,and for most of last year too. I hired a dozer to open up some senderos and clean up all the roads, he started Monday and will be there for two weeks, I would just as soon the rain hold off for another weeks, but if it rains it rains, dozer has a cab on it. I’m in. Tell me when and where to be! Shhhhhhhhhh. Do say that too loud. You will have plenty of time to get that dozer work done this summer. im in put some cotton seed out and protein last weekend of season need to get down to get more out. Had cottonseed out during season and bucks were hitting it hard. You mean the really big ones? Anyone had luck with cellular game cameras in mexico? The ones that send pictures and such. Do they work with Mexico towers? They work. Just gotta make sure you get a good signal. Remote antennae and solar panels are your friend. Good to know. I’m down for some dove hunting. Hunt In: Tx panhandle, Mex. No lie.one of our guys killed a 190 low fence nontypical monster we been watchin for years. After those white horned fakes got scored he didnt make top 3. One of the reasons I pay no attention to any of the contests anymore. Corrupted by the white horns.Congrats on the 190! White horns is a give away lol ! Need some chocolate ! Awesome on the 190! Congratulations to your whole group! looking forward to another season south of the border! Fingers crossed for rain sometime soon. Ready for the 2019-2020 season! I crossed at PN this weekend and the area looked to have received decent rain over the last week or so. Even rained on us while we were there actually. All the ranches we passed had green grass growing and the trees were starting to pollinate.